A lot of yogis have this natural desire to travel to seek and understand the unknown, and also to give back to the world we live in. Satisfy this yogi dyad for exploring and giving back by doing work as a volunteer yoga teacher. Here are five countries you can visit if you want to combine traveling and volunteer yoga teaching. Nepal is a small country in South Asia landlocked between India and China. Home of Mount Everest and located in the Himalayas, Nepal offers abundant opportunities for hiking and gorgeous views of the landscape. Ancient temples riddle the land, including several UNESCO World Heritage sites such as the temple of Changu Narayan and many more historic temples in the ancient city of Bhaktapur. Nepal has many spiritual roots, including that it is the birthplace of Siddharta Gautama (the founder of Buddhism, aka Buddha). Connect to your mind, body, and spirit while immersed in Nepal’s culture and landscape. VIN has opportunities for volunteer yoga instructors with one of their partner Buddhist monasteries in Jitpur Phedi or orphanages in the Kathmandu Valley. Ahh, the birthplace of yoga. India is saturated with opportunities and spaces for meditation and yoga. Although Buddha was born in Nepal, his teachings of Buddhism spread into India. Statues of Buddha, and Buddhist temples and monasteries contribute to the culture of meditation and yoga in India and allow outsiders to gain a deeper understanding of how yoga is practiced abroad. Just north of the Equator, Costa Rica has a tropical climate all year round with beaches, rainforests, waterfalls, and volcanoes. The country has taken great strides to preserve the landscape and diverse wildlife that lives within it - including exotic turtles, sloths, monkeys, and coral reefs. The Yoga Farm, located in Las Delicias of the Puntarenas Province, “is a rustic yoga center and sustainable living project.” The Yoga Farm hosts at least one yoga instructor each month. Kenya is a country located in East Africa. 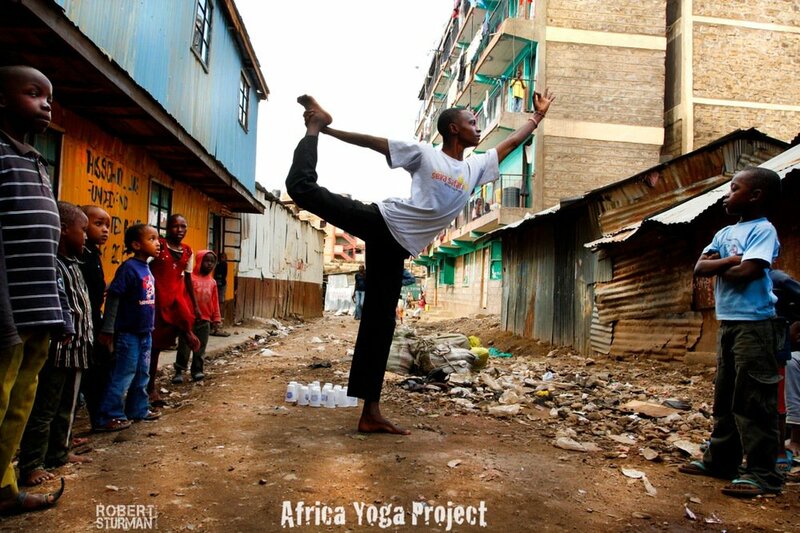 Yoga is not traditionally practiced in Kenya (unlike Southeast Asian countries), so there is teeming opportunity to grow and share the practice. Kenya is known for its safaris, national parks, and access to Lake Victoria. Cambodia is a small country in Southeast Asia with beaches on the Gulf of Thailand. Isolated in the Cambodian countryside surrounded by miles of vibrant farmland, the Mekong Delta, and the mountains of Thailand allows for a reprise from modern city life. 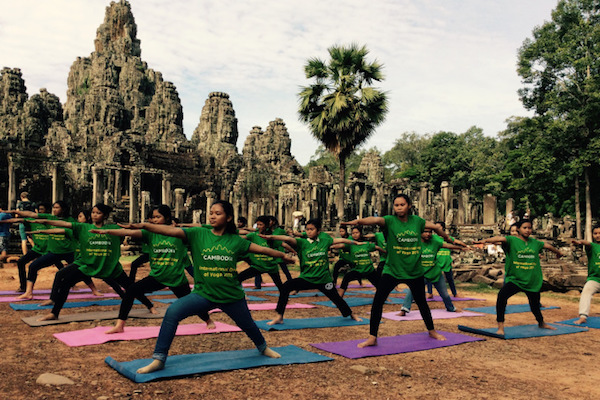 The Cambodian Children’s Fund, aims to provide “life-changing education, nourishment, and healing to vulnerable children from some of Cambodia’s most destitute communities.” Yoga instructors who volunteer with the Cambodian Children’s Fund teach kids yoga in Cambodia’s capital and largest city, Phnom Penh. Changing your surroundings changes your perspective. Traveling abroad allows outsider yogis to broaden our awareness of how yoga is practiced abroad, as well as share our own personal understanding and practice of yoga with others. What are you waiting for?